Something....calls to me....Those gentle voices I hear, explain it all with a sigh. 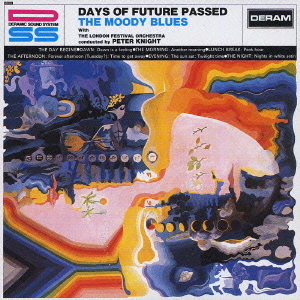 42 years ago or so The Moody Blues predicted this day would come. So since we keep getting asked and the list grows by the day, here is what we know and where to find it. I have listed the versions for each as well. Lotus Quickr services for WebSphere Portal is not affected by this certificate expiration. If you are on Sametime earlier than 7.0 you are out of luck, you must upgrade or keep getting pop up warnings forever. So how do you fix it or what can you do to mitigate your call center and help desk people from staging a walk out on Thursday? 1. Instruct users to select "Always Trust" content from IBM, as the applets are still valid. The warning message is only to notify users that the certificate used to sign the applet has expired. The expiration does not affect an applet's security or functionality. In most cases, the user can click to "Always Trust" content from IBM to stop the message from appearing in the future. 2. Upgrade Domino 7.x servers to Domino 7.0.4. Domino 7.0.4 servers that are accessed via browsers that are using JRE 1.5.0 or later will not experience the issue. 3. IBM recommends correcting this issue through the replacement of the .jar files affected. You can currently download .zip files containing re-signed applets either from Fix Central or the IBM Support FTP site, as described in Technote #4022981 - Download re-signed Java applets for Lotus Domino (May 18, 2009).The re-signed .jar files are applicable to any supported release of Notes/Domino for any 6.5x, 7.0.x, 8.0.x, or 8.5 release. 4. IBM recommends option #3, which allows customers to replace files manually without needing a specific hotfix. Additionally, an interim fix (hotfix) will be provided via Fix Central starting May 11th for the latest MR/Fix Pack levels. This interim fix can be applied on Domino servers that do not currently have a hotfix applied.